I got this book when it was available for free from Kobo. 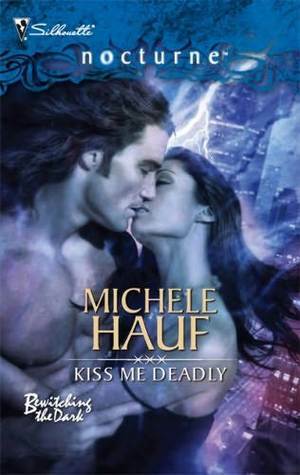 As a free read, I found it fairly enjoyable, though I would only call it a mediocre paranormal romance. I hear so much hype about this author and yet the two books of hers I have read, I have found to be okay, but nothing special. That said, I read this book in one sitting and it was a fun little piece. I liked the idea of the witches and vampires being enemies and a love spell bringing them together, but at times I felt the point was stretched too much in an effort to increase the length of the book. Ravin and Nikolaus came across well enough, but I would have liked to have seen some of the secondary characters more fleshed out as they were very flat. The pacing was a little slow in places, but since this is only a couple of hundred pages anyway that did not cause too many problems. I wouldn't rush out to buy this book, but if you come across it for free (or very cheap) it is okay for killing a couple of hours.